After 24 hours of brutal coverage of Education Secretary Betsy DeVos' defense of scrapping funding for the Special Olympics, President Trump stepped in to claim he was saving a program his own budget had threatened, Axios' Jonathan Swan reports. "I heard about it this morning," Trump told reporters as he left the White House. "I have overridden my people. We're funding the Special Olympics." It was a bad look for DeVos, but standard operating procedure for Trump. Even — one source said especially — when it involved like overriding members of his own administration. There’s a scientific and economic revolution happening in medicine, and the political debate over drug prices isn't keeping up, Axios' Caitlin Owens writes. Why it matters: Medical innovation is hurtling toward a new era of highly specialized drugs — some tailor-made for each individual patient. They may be more effective than anything we’ve seen before, and also more expensive. But the drug-pricing debate is focused on decades-old parts of the system. Gene therapy, for example, is the new wave in cancer treatment. It helps patients’ own immune systems fight off cancer — which means each dose is custom-made for each patient. It’s a highly promising approach, but treatment can come with a price tag north of $1 million. Most of these new, complex drugs are administered at a doctor’s office, not picked up from a pharmacy. "Central to the Trump strategy ... was to cooperate fully with every request for documents and witnesses from Mueller, including Trump’s written answers to some questions." The goal: "satisfy Mueller’s hunt for information to the extent that the special counsel would not have legal standing to subpoena the president’s oral testimony." "Mueller’s team kept insisting it needed to interview the president — but never followed through with an actual demand." "[I]n January, the special counsel’s office contacted Trump’s lawyers to ask some ­follow-up questions." "Trump’s lawyers ... neither agreed to an interview nor answered the additional questions." 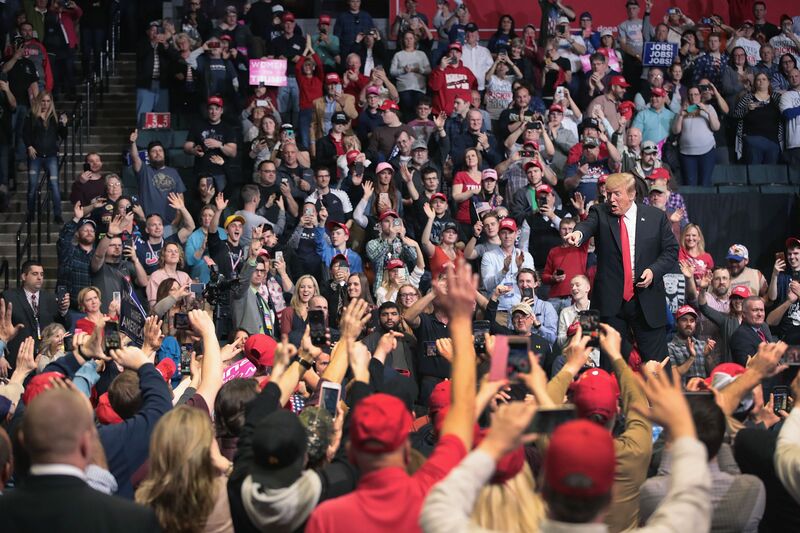 "Two months later, Mueller submitted his report." 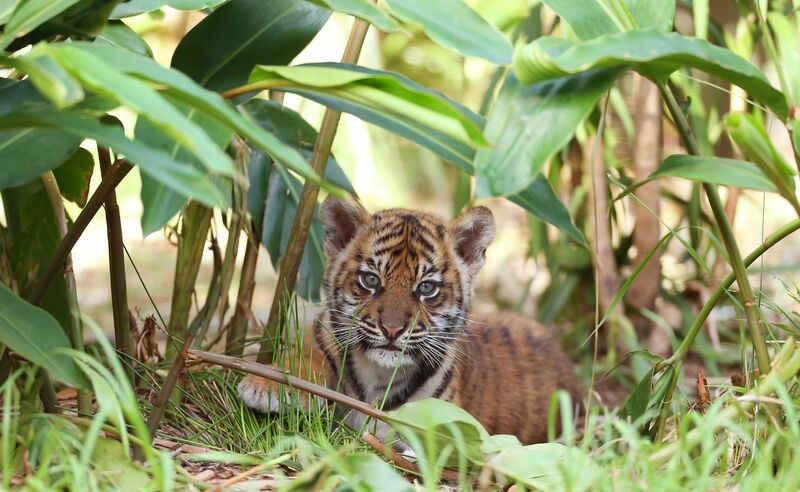 Above, a rare, 10-week-old Sumatran tiger cub plays in a jungle habitat at Taronga Zoo in Sydney, Australia. 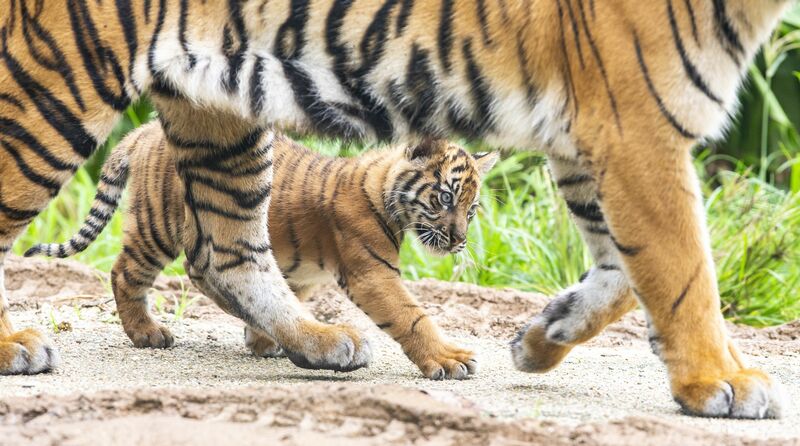 Sumatran tigers are the most critically endangered tiger subspecies and are under increasing pressure as their jungle habitat shrinks, per AP. 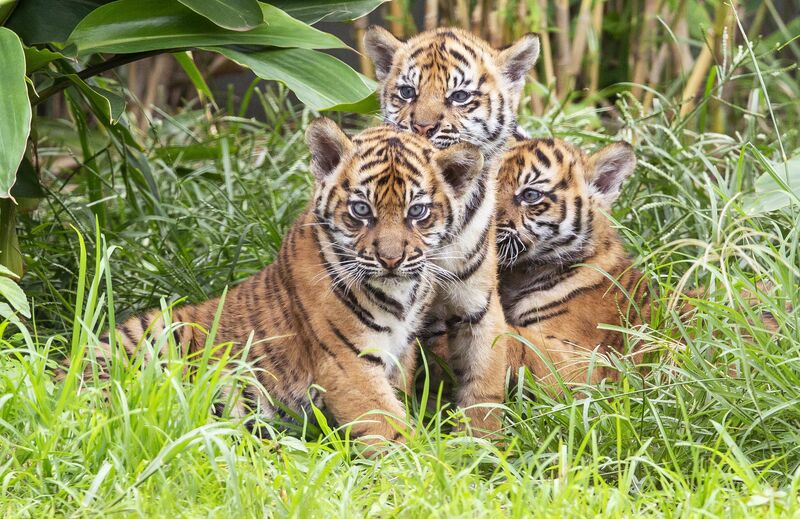 Below, the three cubs will likely grow up to become part of breeding programs in other zoos around the world. "Economic data suggests that slowdown is already underway in the first quarter." "Manufacturing is losing some of its steam from last year’s rapid growth, and job creation is also moderating." 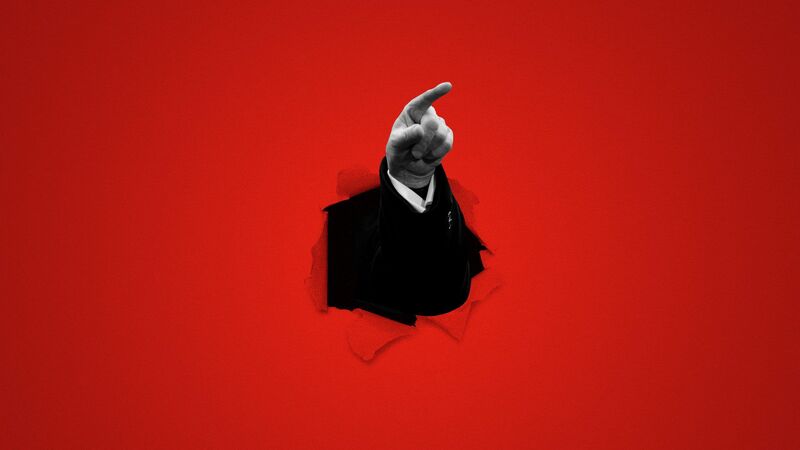 In U.S. high schools, a quiet movement is underway to better prepare students for a hazy new future in which interpersonal skills will differentiate humans from machines, Axios emerging tech reporter Kaveh Waddell writes. Breaking with traditional schooling, these new models emphasize capabilities over knowledge — with extra weight on interpersonal skills that appear likely to become ever more valuable. Some experts liken the automation upheaval to economic changes that sparked an education revolution a century ago, making high school the norm. Why it matters: Automation is predicted to take over routine office and manual tasks, while elevating the importance of skills like managing others. High schoolers are often being taught skills that will soon be handed over to machines. A new teaching method at Summit Shasta, a charter school outside San Francisco, where students choose the skills they want to focus on, is pegged to their college and career aspirations. Summit Shasta is one of 19 schools that received large grants from XQ, an affiliate of the Emerson Collective (which invests in Axios), with the goal of inventing new ways of teaching future-proof skills. "So, what is the president afraid of? Is he afraid of the truth, that he would go after a member, a chairman of a committee, a respected chairman of a committee in the Congress? I think they’re just scaredy cats." P.S. ... On Fox News, Sean Hannity's opening graphic last night called him "SCHIFTY SCHIFF." From the Hubble Space Telescope ... 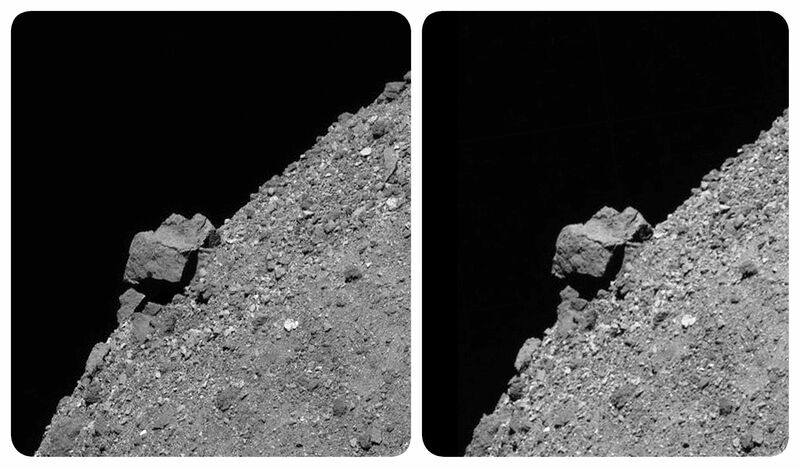 These 3D images, captured by the Osiris-Rex spacecraft as it flies alongside, show a large, 170-foot boulder that juts from asteroid Bennu's southern hemisphere, and the rocky slopes that surround it. Queen's lead guitarist Brian May, who's also an astrophysicist, joined the science team in January. "Two of America’s biggest public pension funds [California and New York teachers] own stakes in Hikvision, a Chinese company that supplies surveillance technology to detention camps in Xinjiang where Muslims are held," the Financial Times reports (subscription). "Marco Rubio, a senior Republican member of the Senate foreign relations committee and an influential China hawk, is leading an effort to get members of Congress to sign a letter expressing concern about 'problematic' Chinese companies identified as connected to abuse." 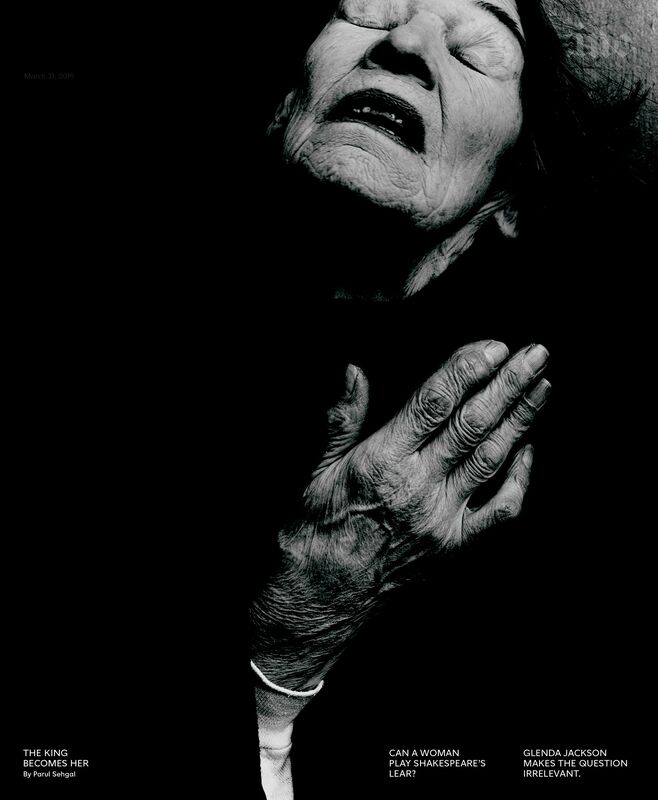 At 82, Glenda Jackson commands Broadway as King Lear, the most powerful role in theater. She does not look diminished — she looks distilled, unwrapped, the long bare branches of her body mesmerizing. "Glenda is so lean, and I don’t just mean that physically," the actor Elizabeth Marvel, who plays Goneril, told me. "I mean that emotionally, intellectually. All the fat is burned off, and you just have this brilliant diamond core." Jackson is not the first woman to play Lear, nor does gender enter your mind as you watch her. 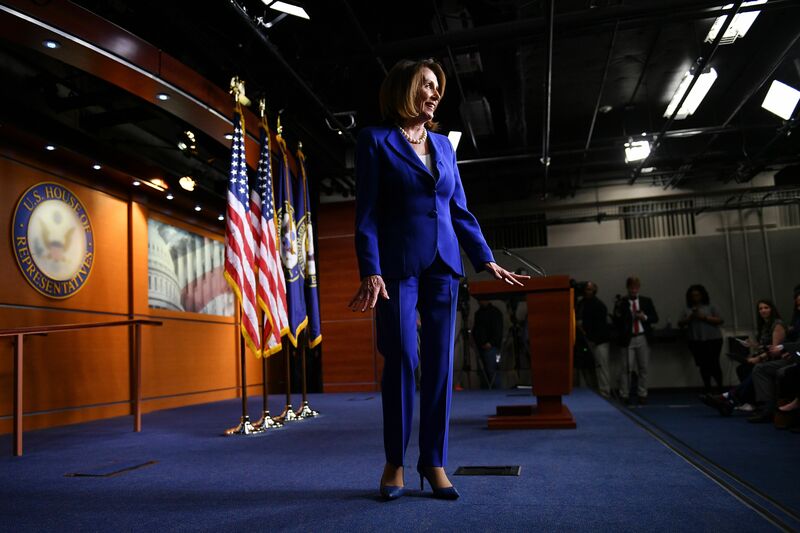 She herself has spoken of how differences between the sexes fade with age, but her authority has always transcended any notion of gender; it has always felt like law. The first time she played Shakespeare, in 1965, one review was headlined "Ophelia, Prince of Stratford."